VIPERT Potable and Radiant tubing are compatible with F-1960 Cold Expansion and designed to outperform any other flexible plastic tubing on the market. Expand, push or crimp, VIPERT can do it all! Manufactured by CB Supplies, VIPERT is certified compatible with F-1960, F-2080, F-1807 and F-2159. With increased flexibility/relaxed memory, excellent hydrostatic strength and burst pressures that far surpass required industry standards, VIPERT is all you need. VIPERT is compatible with expansion, push and crimp fittings. Excellent hydrostatic strength at high temperatures and very high burst pressures. With relaxed memory you'll experience less spring back than PEX. VIPERT is recyclable and requires less energy to be produced than PEX. CB Supplies stands behind VIPERT with a 25-year warranty. ⅜" - ½" - ¾" - 1" - 1¼" - 1½" - 2"
⅜" - ½" - ¾" - ⅝" - 1"
LOOKING FOR COLD EXPANSION FITTINGS AND MORE? 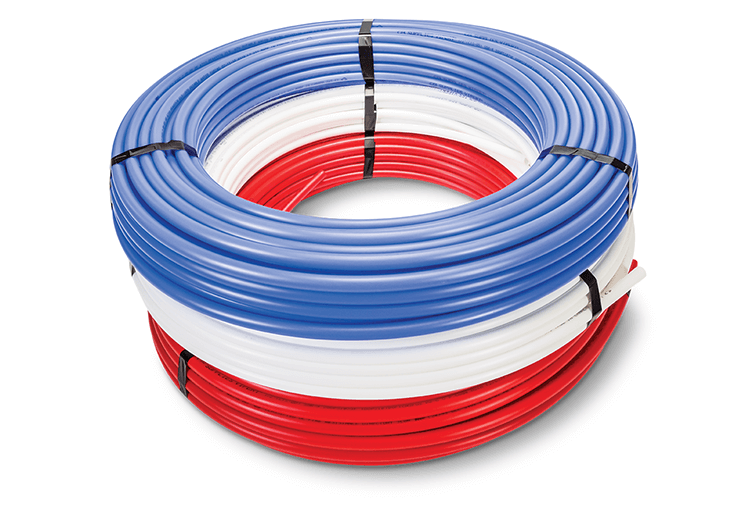 If you like PEX you will love VIPERT, the new line of Radiant and Potable PE-RT tube manufactured in Canada by CB Supplies. 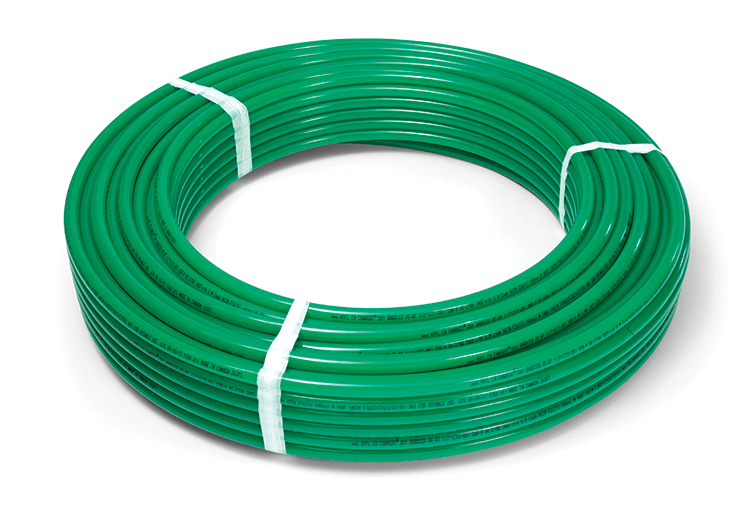 Stronger, greener, fusible and more flexible, PE-RT strikingly outperforms PEX. Why? PE-RT is a more pure material, manufactured from polyethylene – raised temperature, while PEX is polyethylene that is cross-linked. To make PEX, additives are blended in with the resin and a curing process is required to cross-link it. This makes the pipe stiffer. PE-RT does not need to be cross-linked to meet North American standard requirements, eliminating the need for additives, resulting in a more pure product. It is this key difference that makes PE-RT stronger and more flexible than PEX, while also being recyclable and fusible. CB Supplies Ltd. is a Canadian-based manufacturer and distributor of products primarily used in residential and commercial plumbing as well as radiant heating systems. The organization under the CB Supplies banner distributes a range of PVF (Pipe, Valves, Fittings) products by a variety of manufacturers located around the world. It is our opinion that as borders and markets open around the world, competition for many products will involve producers capable of providing the best combination of quality and price. Our products carry all necessary North American listings and certifications of compliance. CB Supplies Ltd. is a privately-owned Canadian firm founded in 1962. We proudly manufacture PEX, PE-RT and HDPE pipe in a state-of-the-art facility in Surrey, BC near Vancouver, and we distribute a broad range of products from around the world.